The Physiopedia Trustees have responsibility for the control and direction of the affairs of the charity. The Physiopedia Trustees bring a unique set of skills and experience together to support the Physiopedia charity and help it achieve its aims. The Trustees are supported in their governance function by the Advisory Council. Rachael (UK) is a physiotherapist and Physiopedia co-founder. 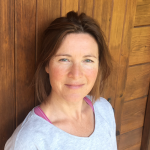 Rachael is a qualified physiotherapist with a first class degree from Sheffield Hallam University in 1998. Following international work as a musculoskeletal clinician in various contexts she set up her own private practice in West Yorkshire. During this time Rachel became interested in the use of technology within the physiotherapy profession. Rachel established the Physiopedia project in 2008 with the ambitious goal of providing free and open access to all physiotherapy knowledge to improve global health. Physiopedia is now the largest and most popular physiotherapy related website. Rachel continues to use her specialist knowledge of the global physiotherapy profession and her technology skills to promote the employment of technology to empower her profession. 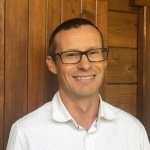 Tony (UK) is an e-learning consultant and Physiopedia co-founder. With a background in engineering and education Tony became fascinated by the opportunities presented by the then new Internet and how this could be used to support teaching and education. Following a time working as a learning technologist at the University of Leeds he established Webducate and it was at a related conference he introduced Rachel to this exciting and rapidly expanding world of Web 2.0. This exposure eventually led to the launch of Physiospot 2006 and then Physiopedia in 2009. Apart from being the co-founder, Tony is also the geek behind Physiopedia. Elaine (USA) is a physical therapist and Associate Professor at Bellarmine University. Elaine, a physical therapist, teaches as an Associate Professor at the Bellarmine University in Louisville Kentucky and teaches for the University of St. Augustine, in their continuing education and online learning programme. Elaine has been drawn to the practice of manual physical therapy and is now the President of AAOMPT. Hilary (UK) brings legal and finance knowledge to the team. 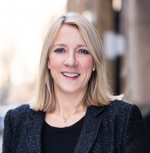 With a degree in Law, Hilary has worked in the finance sector in London for over 20 years. Apart from being a Trustee for Physiopedia, Hilary is also an Investment Director in Growth Finance at Beringea. Hilary brings valuable legal and finance knowledge to the team. Brenda (Canada) is past Secretary General of the World Confederation of Physical Therapy. Brenda Myers, a physiotherapist, was Secretary General of WCPT from 1995 to 2016. Prior to this she was Executive Director of the Canadian Physiotherapy Association. 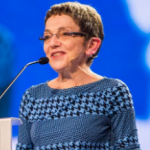 She has visited many of WCPT’s member organisations across all regions and has seen the positive impact of a united international voice expressed through an international organisation and the benefits of partnerships and dialogue across geographic, cultural and political boundaries.